Vessel cleaning is an extremely complex procedure, with a small space that requires extensive cleaning to remove all traces of material or substance. As a specialist service, there are often many questions around vessel cleaning services and how our experienced team tackle common problems within the process. To make things easier, we’ve rounded up our most commonly answered questions about vessel cleaning. What does a vessel cleaning service consist of? Vessel cleaning services begin with a full brief from the client, advising on the requirements for the project. Once this has been assed, our experienced team will then make recommendations on how the work should be carried out, considering lead times and any pressure on production requirements. How much does vessel cleaning cost? Our vessel cleaning services are competitively priced however the pricing does depend on the work required. If you are interested in our vessel cleaning services, our experienced team will provide an in-depth quotation once we have assessed the work required. What experience should a provider have? In terms of experience and qualifications it is important to look at your potential provider and how many vessel cleaning jobs they have worked on. Their background and experience are essential in ensuring that they have the knowledge to carry out the correct level of service. Looking into their qualifications or governing bodies they are part of will also provide more confidence in their services. 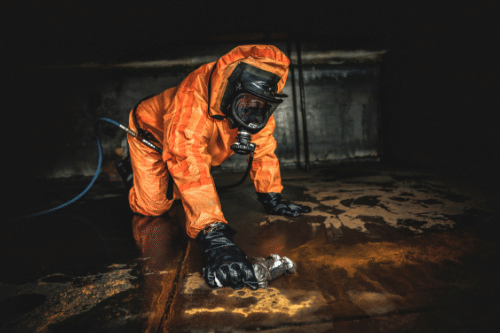 Are tank cleaning and vessel cleaning the same service? Tank cleaning involves the industrial cleaning of a tanker, a larger space which may be non-entry. Whereas vessel cleaning is the industrial cleaning of a small, confined space that can’t be reached easily. They are different services however are closely linked and in some cases can be carried out together within the same job specification. With over 20 years of experience in working on industrial cleaning projects, specialising in vessel cleaning services. We work alongside our clients to fully understand their requirements before undertaking the work required. We understand the intricacies of vessel cleaning, so you can focus on more important areas of your business. We have the knowledge and equipment, combined with our high level of customer service we provide a service that is unmatched by any other vessel cleaning provider. Alongside our vessel cleaning services, we also have extensive experience in industrial cleaning, non-entry tank cleaning and silo cleaning. If you would like to know more about our vessel cleaning services and how we can assist your business, do not hesitate to get in touch. We work with clients throughout the UK, providing high quality vessel and confined space cleaning services. To speak to a member of our team simply fill in our contact form and we’ll be more than happy to provide more information on our services.